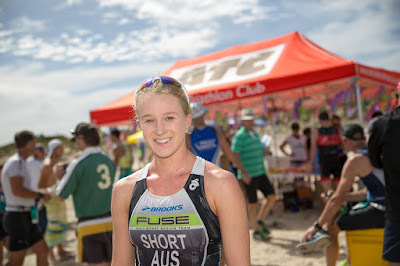 Last Sunday, I headed down to Aldinga to compete in the Silver Sands standard distance triathlon, which was the final race of Triathlon South Australia’s 2015/2016 State Series. I’d heard great things about the race from everyone who had competed in it previously and it presented a great opportunity to finish off the season on a solid race before our squad break leading into the winter training block. With an extra hours sleep because of day light savings, I turned up to the event well rested and ready to compete. I was immediately impressed by the amazing beach we were to race along, and the professional set up of the race. It was a great atmosphere – with many other triathletes using this race as the last of the season, there was a general feeling of excitement and fun. 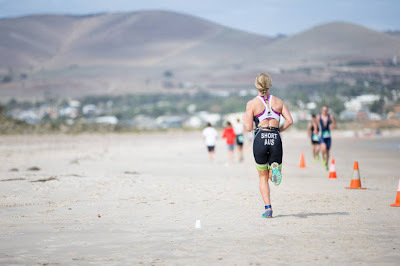 After completing a usual warm up along the beach we started off the swim from the beach, two laps of an ocean course and, with a water temp of 15 degrees, I was excited to get the opportunity to compete in my Orca Alpha wetsuit! The swim flew by, although it was made slightly slower by slight chop and a long run in and out. The bike leg proved to be challenging, as it was an undulating course along the coastline. It felt like it we were either climbing, descending, battling the headwind or taking advantage of the slight tailwind which made holding a steady pace a bit challenging! There were plenty of people out on the course to keep the motivation to push the pace going, and it was gratifying to realise how far my cycling has come since joining Fuse. After finishing the bike leg in a reasonable time, it was time to head out onto the run course which was a beach run – all 10km of it. It was definitely not my best run as I struggled to keep the pace up on the soft sand. Beach runs are always difficult because you can see the finish line for every metre of the course - but it never seems like you get any closer to it! In the end, although it was my slowest run for a standard distance event this season, it was enough to take out the Open AG Female win on the day. Overall it was an excellent day’s racing and an amazing experience with everyone there celebrating the end of the summer season of racing and enjoying the professional event in a stunning location. For me, it was nice to wrap up the season on a good note. This season has been an amazing one, not just in terms of racing but training as well. 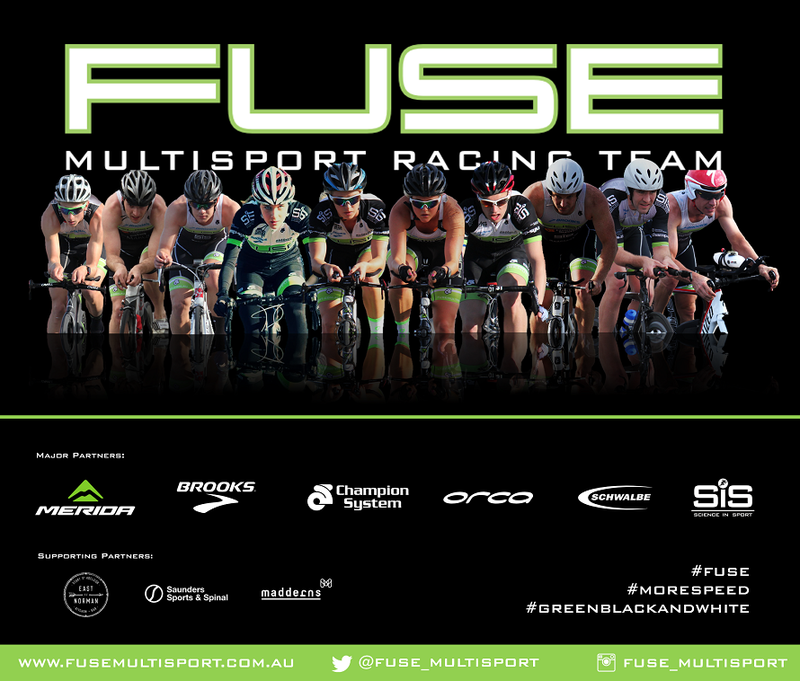 It was such a fantastic opportunity to be able to train with my team mates at Fuse Multisport for the last 10 months, which involved training on a daily basis either 1-1 with my coach, or in a squad environment full of people as equally crazy as I am. I have no doubt I would’ve achieved even a quarter as much as I did this season without our squad of amazingly dedicated and driven athletes, and definitely not without the help of my coach Steve O’Brien - who has worked with me every step of the way to help me achieve my goals this season. All in all, season 2015/2016 was a good one! 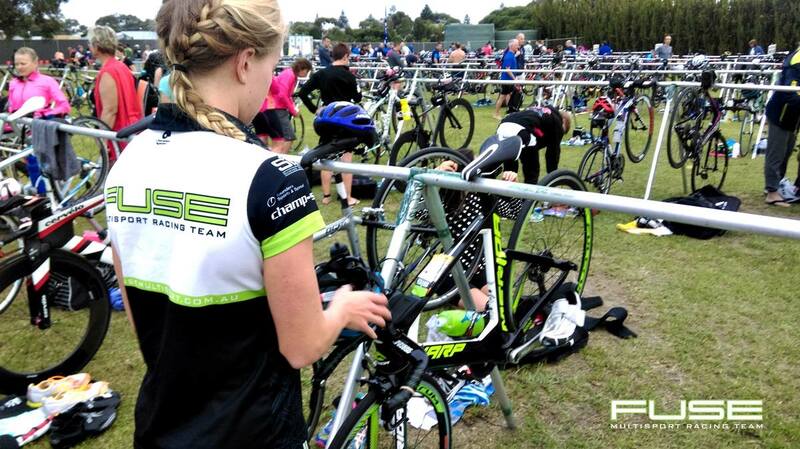 Lastly, a big shout out to the squad’s incredible partners who gave us every opportunity to race with the best and fastest gear throughout the season – Merida Australia for supplying our bikes, Brooks Running Australia for our training and racing shoes (we appreciate this, because with the amount we run we burn through shoes like crazy! ), SiS Australia for our training nutrition, Orca Australia for supplying the fastest wetsuits we’ve ever used, Champion System Australia for all our racing and training gear, Schwalbe tyres for our racing and training tyres, Saunders Sport and Spinal for our physio needs, and East of Norman for all our post-ride coffees.